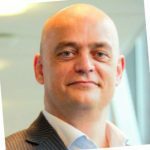 Join Deborah, the Managing Director of DASA, as she interviews Freek Van Makkelenberg, Director in Telco and IT at KPN, about his experiences empowering IT transformation throughout his department. Can you tell us a bit about yourself and your role at KPN? Can you tell us more about the responsibilities of your department? Why do you think DevOps is such a hot topic today? Can you tell us a little bit about the roadblocks you’ve faced in implementing this change? I see you’re investing a lot into the training and development of your people. Why is that? How was your experience attending the DASA DevOps Fundamentals course? And how do you compare the two courses? Following the Fundamentals course, what impact did you see within your team?